This is a MIP Thorp Metric Hex Driver Wrench Set. MIP has the remedy to your RC wrenching ailments! This never before seen MIP Hex Driver wrench package including the most popular sizes for Metric sized hex-head screws. For the most reliable tool to tackle hex-head screws, top technicians and racers choose MIP. Legendary. As the exclusive manufacturer, MIP has worked very closely with John Thorp to produce the best wrenches in the hobby industry. Features classic amber-toned polycarbonate hand grips that stay cool. Get the wrench pack that will last a lifetime. NOTE: MIP stands behind every wrench and hex driver! MIP quality assurance promises that all wrenches and hex drivers are free from defects in workmanship or manufacturing for the life of the tool. For support, contact MIP directly. 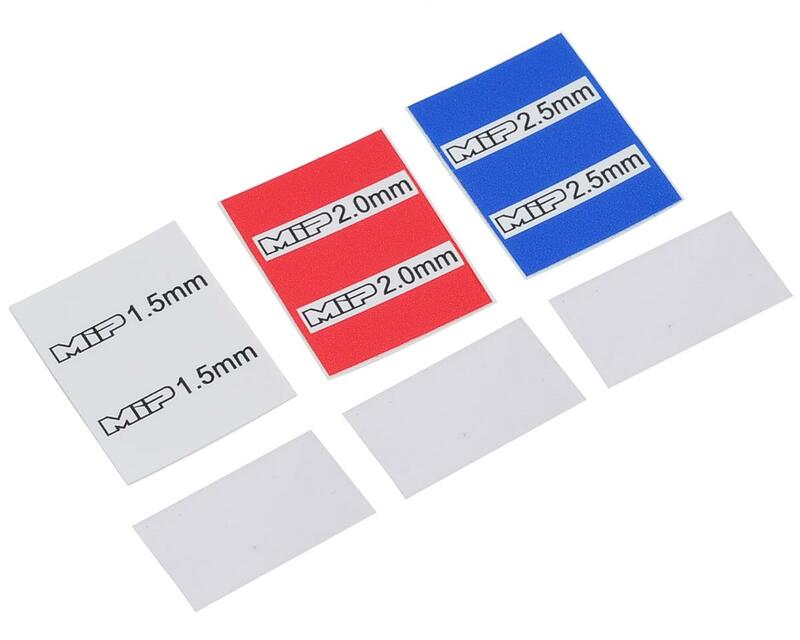 I bought these without hesitation due to all the positive comments, I purchased the 1.5mm 2mm and 2.5mm set. I used the 2mm about 95% of the time. I broke the tip on the 2mm then ordered a replacement and broke that tip within 2 weeks. I have to admit I did use them to put together several kits , like around 5 total for both drivers. Both times they broke I noticed it was when I was screwing a longer screw such as a 18mm into newer unthreaded hard plastic such as the TLR 22's a-arms. The screw and the hex tip got pretty hot just turning the driver by hand and I believe this is what caused it to break. Wish I could upload pics somehow on here to show. I did contact MIP and they are sending replacements for one of them but after breaking 2 of them Im going to go back to using my Protek hex drivers. These wrenches are awesome! Very precise fit and great handles. Wish they made nut drivers too. the best tools, but a few months ago they were $31 and now $45...that price increase is absurd amain!! Excellent product. Very nice fit in screws and durable. Definitely add these to your tool collection. Well I used my wrenches for the first time and I have to say, they wormlike no other wrench I've ever had. Super impressed! ON the topic of another persons comment about the tip getting hot while turning the wrench on a 19 mm screw. Do you have super powers like the Flash to produce that much power to turn your wrist that fast. My path to MIP tools started with the need for a 1.3mm hex driver and about the same time a failing 1.5mm hex driver ruining screws and making more work for me. 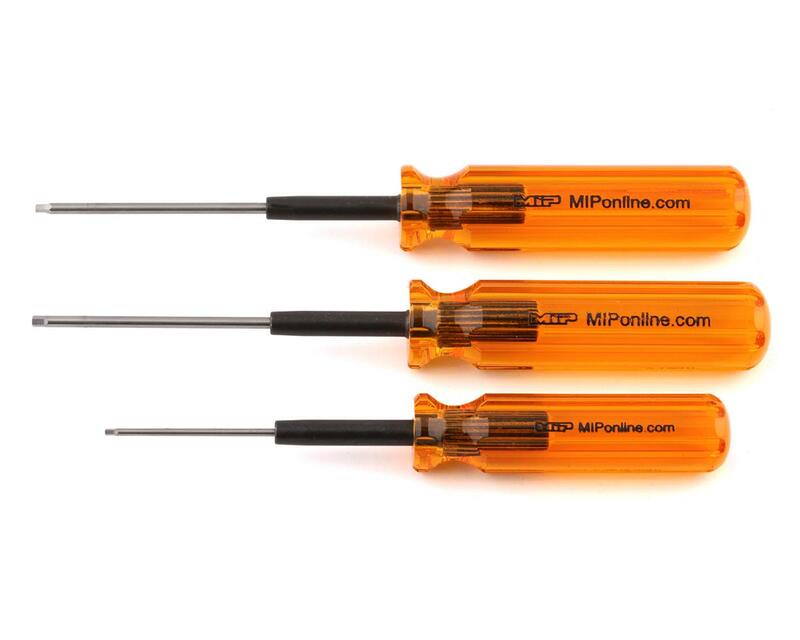 Below is copied and pasted from my review if the MIP 1.3 mm hex driver. I needed a 1.3mm hex driver for the tail of an Align Trex 450L.i had one 1.3mm hex bit in a cheap metric tool set. It wouldn't work at all. It would spin completely around 360 degrees in the hex head. I borrowed an MIP tool and it fit perfectly, tight, and no, zero rotation in the hex head before contacting the facits. So I returned the MIP driver to my friend and started shopping for one on AMain. I ran across an Align tool and it was half the price of the MIP tool and, well, Align. I have a positive opinion of their helis. So I bought it. See my review of that tool. Short story, it had way too much slop in the fit in the hex head, guaranteed to ruin screws over time and probably damage the tool as well. 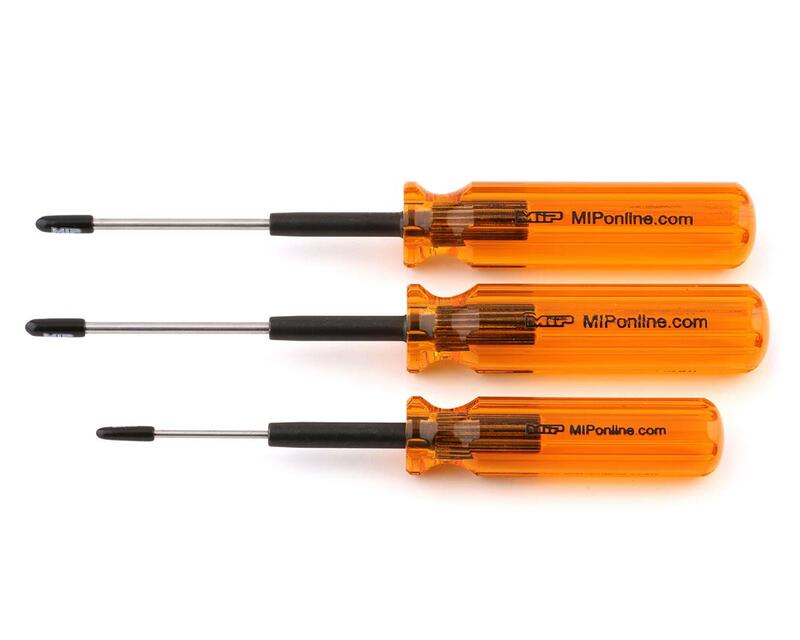 I bought the MIP 1.3mm tool and the 3 piece 1.5, 2 and 2.5mm MIP set. My 1.5mm hex driver from an Eflite set was starting to ruin hex head screws and was itself rounding on the facit edges. I love everything about the MIP tools. It's really satisfying to work with tools that are so perfect for the job you're doing. I don't even mind the high price because these tools deliver value equal to the price and no frustration with tool caused problems. Buy these. You won't regret it. Absolutely the best! MIP hands down makes the very best hex drivers. Really like the new labels as their easy to read and color coded. Excellent, 5 stars, highly recommend! Best tools that I have ever owned. I've used a variety of cheaper tools and wish I would have spent the extra money to start off with. The best rc tools I've ever used by far! They fit so snug into screw heads it just makes working on your cars so much easier and more enjoyable. The handles are very nice and make the wrench feel like such a quality tool. I've been using them for months and they show no wear at all. It's a little pricey for three wrenches, but I'd say they're well worth it. They are decent drivers. You will hear a lot about them. When I hear the amount of excellent work that goes into them I wonder - why they could not take the xtra step, which is what people do when they want to make something amazing, to engrave the size of the hex driver somewhere - anywhere - on the driver. Instead, they toss in a very cheap piece of paper - mine had the staples from the package punched through on all the labels. The paper stickers showing the size has terrible stick. If you look at the picture - they are even coming up there. This is what we call in the engineering world - a weak effort. Was it really that much effort to engrave the size - anywhere - on the drivers? I am guessing it was super cheap to put their name on the handles - as you could pump out a ton that are all the same and save cost. So no, I do not believe they put their best effort into these drives. This opens the door for other companies to jump on this weak effort. Not super impressed with these. They were great at first but we use them at work (to repair rc vehicles) and they started rounding off after a few months. Im sure with average use they would get a few years fairly trouble free, but the 2.0 is completely useless at this point and we haven't really had them that long. We have a set of Dynamite wrenches we got years before the MIPs and they have held up far better.